Beginning Saturday, December 1st through the end of the month, Wool & Co. is increasing the amount we donate to Anderson Animal Shelter from $.25 to $1.00 each time in-store customers skip a bag! 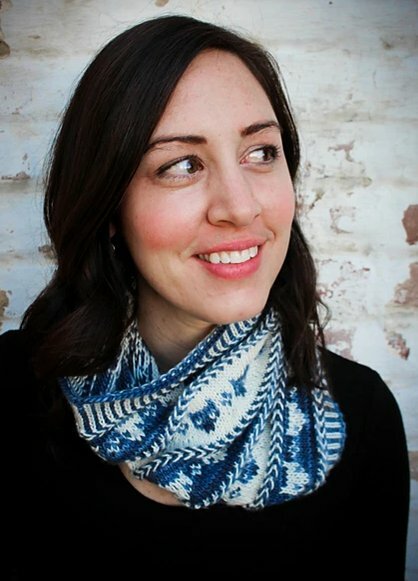 The Bad Kitty cowl by Tanis Gray is perfect for the cat lover! Knit with two contrasting colors of DK weight yarn, the cowl includes both simple colorwork, as well as a Latvian braid detail (pattern includes instructions). 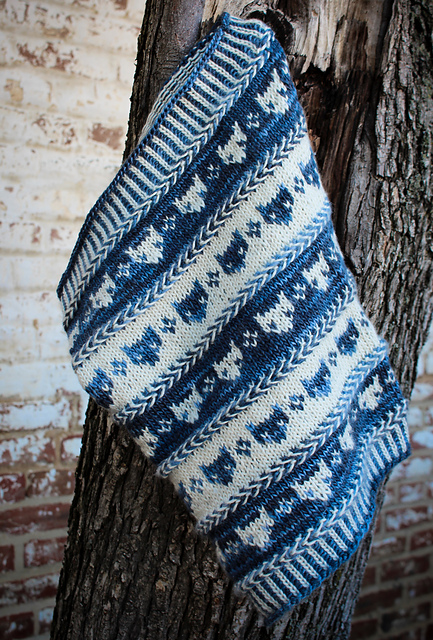 The pattern is great if you love fun & interesting knits. Materials required include one skein each of contrasting colors of DK weight yarn, size US 6, 24” circular needle, & a ring stitch marker. Some great yarn suggestions include Mrs. Crosby Loves to Play Carpet Bag (entire line available now for order! ), Madelinetosh Tosh DK, Brooklyn Tweed Arbor, Shibui Maai, & Berroco Ultra Wool DK.